Quickly converts your existing R-12 charging hoses over for use with R-134a systems. 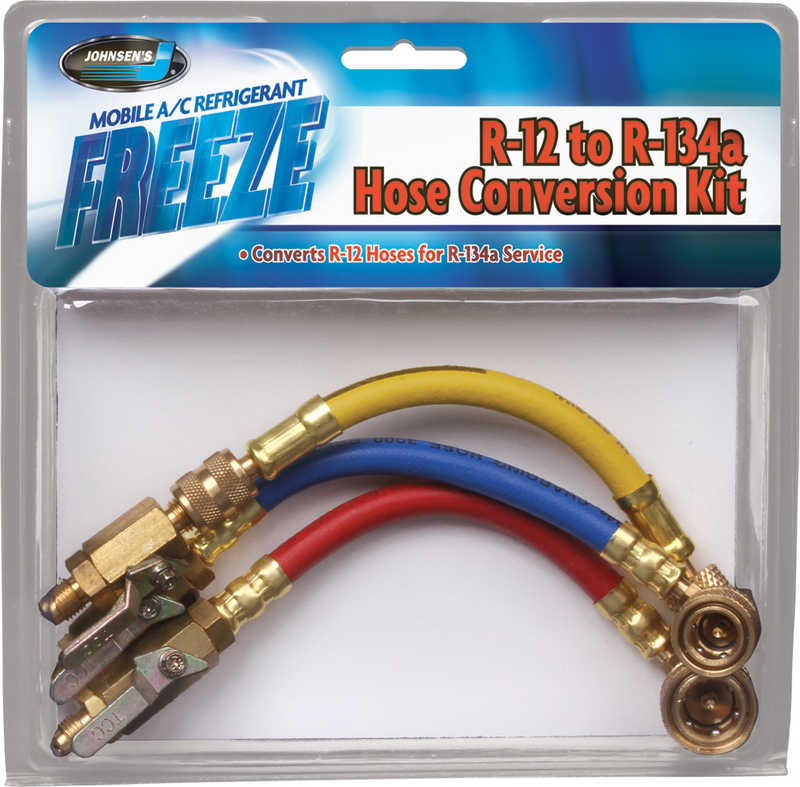 Includes high and low side quick couplers, a common service hose and shutoff valves to prevent the release of refrigerant. Shutoff valves will attach to any 1/4“ female SAE flare fitting.